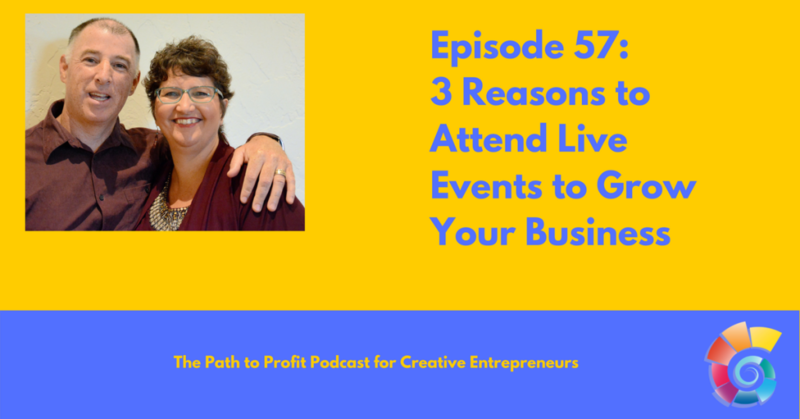 We’re a little giddy and silly in this hostful episode: we recorded it just before vacation 🙂 But this one’s dear to our hearts as we talk about attending live events. Both Brad and Minette have had tremendous success learning and interacting with other people in the industry at industry events. Minette especially has used speaking as a tool for finding new business and continuing to establish herself as a thought leader. We budget for conferences and events every year and it is critical to our success, even when we don’t think we can afford it! What are you planning to attend this year? Have you booked your travel? Of course you are invited you our Dream. Design. Profit. 3-day Marketing Intensive for Creatives in Los Angeles in September!